Seventeen-year-old Lilith Lane has a hunk of a boyfriend, a wicked tongue, and a talent for solving the mysteries that pop up in her small home town of Mirabalis. But when her little sister goes missing in the middle of the night, both Lilith’s detective skills and her recall of sophomore year physics are put to the ultimate test. To save her sister, Lilith must race against the clock with the help of Dr. Hammer, a mad scientist who pushes Lilith off the edge – literally – of his reality-bending skyscraper. Lilith’s world is turned upside down by her sister’s disappearance, and a skyscraper that is also a portal to a parallel universe suddenly doesn’t seem that surreal. With Dr. Hammer’s help, Lilith must put her girl detective skills to the test and try to save her sister. A dashing snail expert, a scheming beauty queen, and the heir to a great advertising fortune are just a few of the unforgettable characters who round out the cast in this rollicking tale of love, loyalty, and multiple Earths. E.V. 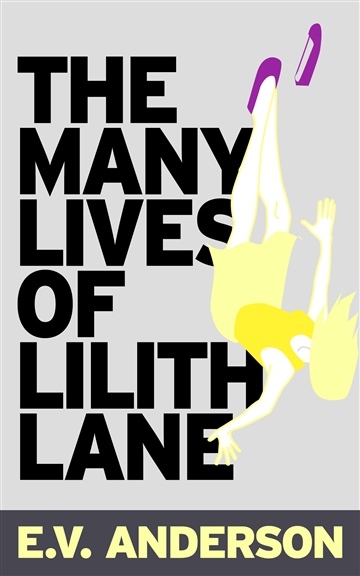 Anderson is the author of The Many Lives of Lilith Lane, which first appeared in serial form as one of Amazon's original Kindle Serials. He spent more than thirty years in New Jersey, before arriving in San Francisco with no job, no place to live, three suitcases and an insatiable hunger to write. He now lives in Oakland, California with his diabolical cat, Emma, and his tolerant and talented girlfriend, Julia. E.V. holds fond memories of New Jersey, and misses his mother and Wawa coffee the most.